Embassy of the Republic of Kenya in Spain » COURTESY CALL: KENYA DELEGATION FROM BOMET AND KAJIADO COUNTY. 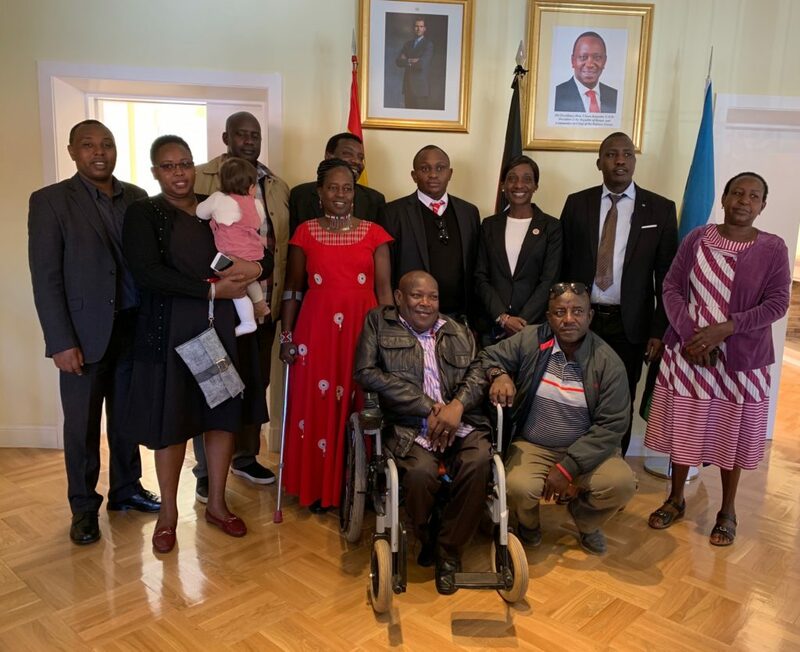 On 22nd March, 2019, Chargé d´Affairés Ms. Severine Luyali together with the Kenya Embassy Madrid Staff welcomed the Kenya Delegation from Bomet and Kajiado County to the Chancery. During the visit, Chargé d’ Áffaires emphasized the importance of furthering cooperation between Spain and Kenya and assured the delegation that the Embassy would continue to endeavour to build stronger bilateral relationship and advance Kenya´s interest in Spain. The delegation was in the country to explore potential mutually beneficial ways of partnering with their Spanish counterparts in areas such as education, revenue collection, devolution of powers, energy among others.